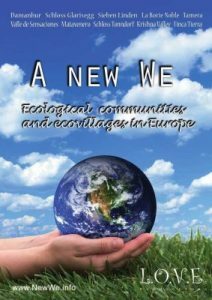 From urban cohousing to rural commune, journey throughout European ecovillages or bicycle across the United States. 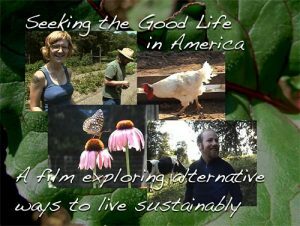 Get started on these documentary films today for the BEST inspiration on creating sustainable community. One of today’s biggest paradoxes is that half of the world’s population lives in urban or suburban surroundings, yet many feel lonely and do not know their neighbors. But what if we could reinvent urban living to improve this? Voices of Cohousing is a documentary that takes a look at and interviews 14 pioneering cohousing communities in Europe. Each group offers unique contributions to designing improved urban living. When Cuba lost access to Soviet oil in the early 1990s, the country faced an immediate crisis feeding the population and an ongoing challenge: how to create a new low-energy society. 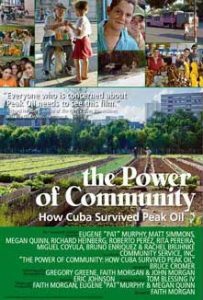 Hailed as a glimpse into the future of peak oil for all of us, Power of Community tells the story of the Cuban people’s hardship, ingenuity, and triumph over sudden adversity through cooperation, conservation, and community. Mandy and Ryan gave up their corporate jobs and houses to travel thousands of miles in search of a new home, while also looking within. One of the most important questions facing the world today is “Can humans live sustainably?” This film answers this in a resounding way – Yes! The variety of situations and voices in A New We inspires hope for the future of humanity and all life on the planet. The lives shown here are more motivated by imagination, vision, respect, passion, and cooperation than by economic forces and social expectations. 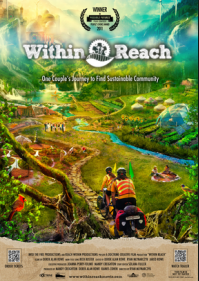 In these 10 communities, the creative solutions to many social, environmental and economic challenges exemplify the nearly infinite capacity for human-, community- and self-development. Follow along on a road trip with filmmaker, Joy Truskowski, for a personal glimpse into her adventure visiting three well-established Virginia-based intentional communities: Acorn, Twin Oaks, and Light Morning. Seeking the Good Life in America is a personal and accessible story, without preaching, prescribing, or over analyzing. Witness early explorations stepping out of more mainstream life and into alternative cultures, and see how one can be uniquely nurtured or challenged by each community. Discover all our films by visiting our Videos page at Communities Bookstore. Or visit our Vimeo page where we also share more short films like our Planet Community series. ← Events we love – We’ll be there, will you?